Getting more business and enhancing profit margins is not a stroll in the park for any B2B lead generation company with intensifying competition, a slower than expected economic recovery and a resulting pressure on budgets. The need of the hour is to think and act differently, your worn-out, archaic methods are not going to work any longer. 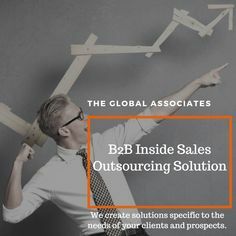 A B2B lead generation company can graduate into the big league by managing the sales leads more efficiently, adopting novel methods and using latest technologies. Here is what you can do differently. Lead generation is a costly affair, you need to invest huge amounts of time, resources and manpower in unearthing fresh opportunities. If you don’t have an efficient lead nurturing process, you tend to lose a major chunk of qualified leads that don’t close into deals immediately. Constant clamoring by the sales people for filling the pipeline with fresh business leads is a sign of an inefficient lead nurturing program that is doing little to make long-term strategies. Developing a system for a continuous appraisal of the sales pipeline is imperative for any B2B lead generation company. Measuring only the closing ratios is never a healthy custom, it always gives you a false impression of your entire process. A much better way to go about the assessment procedure is to evaluate conversion rates at the end of every stage of your sales cycle. This will give you a much better idea about the health of every single stage of your process. Too many sales organizations waste precious time fretting over rejection when they can utilize that time productively in pursuing more promising leads. Rejection is an occupational hazard, you are not going to close a deal every time you pursue a prospect. So, learn to take a “no” gracefully and start thinking about the customers likely to be more motivated than this one. Business is an ongoing process, some days you face success and sometimes you taste disappointment. The key to success for a B2B lead generation company lies in adapting with changing times and adopt new methods and fresh ideas.